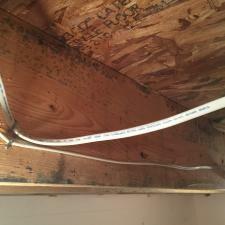 The conditions in your crawl space can directly impact the other areas in your home. crawl space clean and safe. Dry Otter does it right the first time! will keep your crawl space clean and safe. Dry Otter does it right the first time! you with the best solution to fit your needs, within your budget. solution to fit your needs, within your budget. Don’t live in an uncomfortable home with mold, mildew, and nasty odors. and comfortable. Dry Otter does it right the first time! 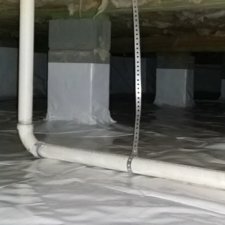 We provide services such as crawl space vapor barriers, crawl space encapsulation, drain systems, sump pumps, wood rot repair, mold remediation, and basement waterproofing. We are a certified installer for the WhiteCap Crawl Space System. 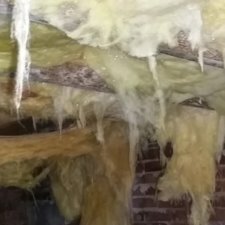 Whether your water, moisture, or humidity related issue is in a basement or crawl space, Dry Otter can offer a solution. 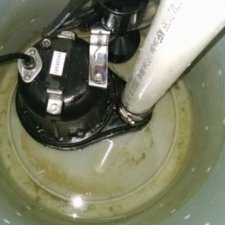 We understand how water and moisture in your basement or crawl space can affect your life, family, and home. We commit ourselves to provide solutions to control water and moisture and keep your home dry. We are passionate about our industry and the ability to offer the right services and solutions for your situation. Our experience in customer service, design, install, and maintenance ensure that your project and concerns are addressed appropriately and professionally. 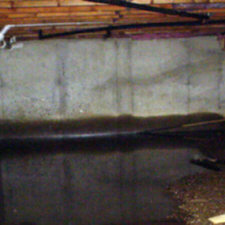 Dry OtterWaterproofing LLC is your basement and crawl space waterproofing specialist. With over 20-years of experience, we can ascertain any water penetration and design the proper solution. We offer a full range of solutions and work diligently with our customers to engineer a solution that meets their needs. Our consultants can identify the cause of these issues and can logically explain what can be done to prevent them in the future. 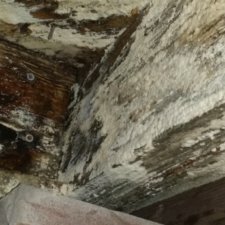 You want to do all you can to prevent the systems of high moisture, mold and wood rot. These not only can affect one’s health but can bring down the value of the home when you decide to sell. A dry basement or crawl space brings great advantages to any home. They will be free of mold and possible wood rot. Dry Otteroffers permanent solutions with transferable warranties. Fix it once and fix it right by calling us for a free inspection. I truly do appreciate all that Dry Otter Waterproofing did to help me out. You kept the cost reasonable and arranged for the work to be done in a timely manner. The two men who spent 2 ½ days working under my house were very professional, especially with all of the mud and rainy weather they had to endure. Both men worked diligently and were always courteous to me. I really appreciate their knowledge, work ethic, and attitude. Could not be more pleased with the level of service I received from Dry Otter. Kevin is very easy to work with and his employees are very professional. What I like about Kevin is that he didn't try to oversell me on services I did not need. There were things I chose to upgrade such as draining matting and new vents. Those particular upgrades were not required by the system he recommended, however he explained all my options and all the services he offered. Kevin's knowledge and expertise is far superior to others with whom I have spoken. My crawlspace is dry and I have one less worry! I would highly recommend Dry Otter to anyone with a problem or question. Dry Otter executed a very professional and smooth experience from the consultation all the way through the installation of our crawl space liner and humidity sensor. 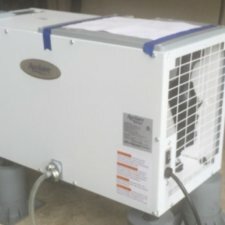 Kevin educated me on the reasons of humidity levels in the crawl space and made a simple and honest recommendation on our solution. I would recommend them for any crawl space remediation. Great experience, Kevin was very responsive from the time I called him throughout the entire process - professional, work was done on the day he indicated and within the amount of time he expected. Work was well done and competitively priced. Great job!! Dry Otter Waterproofing did a wonderful job of encapsulating our crawl space. Kevin was thorough answering all my questions and concerns whether by phone or email. Initially, I was a bit hesitant using a smaller company, but Kevin explained that he's been in the industry for 20 years, and it didn't take long for me to understand he's an expert. His team ensured that all the details with the installation went smoothly, from mold remediation, insulation, vapor barrier installation, wrapping the piers and installing the dehumidifier. Some adjustments to sealed vents and small imperfections were necessary when I looked over the completed installation. They were all resolved in a day. Kevin is personable and very simple to talk with, making business painless for a large and expensive job. I would recommend Dry Otter Waterproofing easily!! Kevin Sanders and his employees have been a joy to work with. They know how to handle a messy crawl job quickly and thoroughly. And I really appreciate how quickly they responded when I called. Terrific communication and follow through. Great job guys!! Great experience. Kevin Sanders and Mark Johnson were very nice and professional. great to work with and good followup. We were very pleased with Dry Otter! The men were at my house for several days and were very professional and courteous. The cleaned up everything before the left. The work was completed as agreed upon. We definitely recommend Dry Otter! 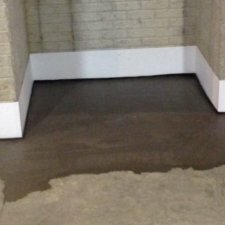 We were very happy with Dry Otter and would have no problem recommending their work. We had several companies out to our house for estimates, and in the end we decided to try Dry Otter. We had a full encapsulation with a partial drain and sump system as well as some downspout drains repaired. The estimates between all of the companies varied, but I believe that for the personal service, quality of the work and integrity of the employees, we received the best value for our money. For me they are a local company, and on more than one occasion Kevin (the owner) came out to the house personally during the course of the work. The crew that came to the house was extremely professional and I had absolutely no concerns about being at work while the work was being performed under my home. Kevin and Mark made sure that all terms agreed upon were fulfilled to my satisfaction, and I am actually hiring them for an additional project. Do yourself a favor and after you talk to all the big players, give the fine people at Dry Otter a call. I believe you will find that you will receive more personalized service from Dry Otter because the employees demonstrate integrity and professionalism and the owner is actively involved.